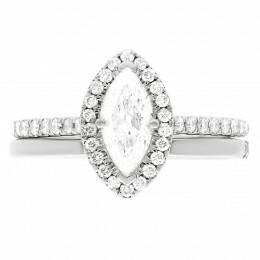 “Harriot (Marquise)” engagement ring is an elegant and sophisticated marquise shape diamond engagement ring by Loyes Diamond Dublin. 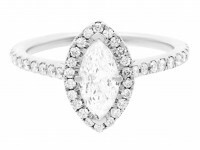 The marquise stone is set in a beautiful halo containing 22 round brilliant diamonds resting upon a fabulous shoulders of 9 round brilliant scallop set diamonds on either side. 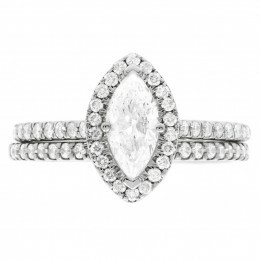 This is a sought after and much desired diamond engagement ring. The ring pictured has a .70ct E Vs2 certified by GIA. 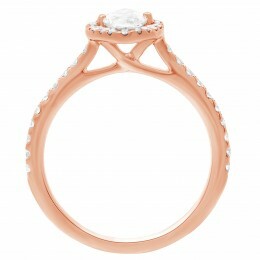 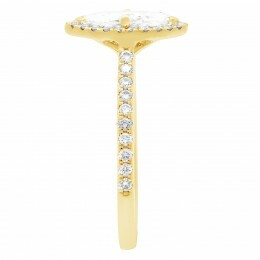 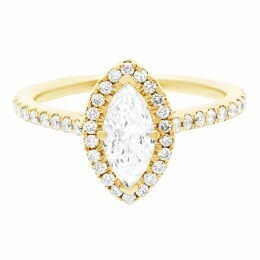 This style of ring is available from €3000.